Comments and/or objections received after 13 May 2013 may be regarded as invalid and could possibly not be considered. Do we really need another resturant in noordhoek?? This is one of the few places left where there is not a comercial block on every corner. This is the beauty of noordhoek, Coming over chappies and into the valley is one of the most amaizing drives, and this due to the “lack” of comercialism. I am opposing this plan as i would hate to see noordhoek turn into a Houtbay. I strongly urge the people who call this amaizing place home to do so to. I must say I agree with Erin Green and also oppose the plan for commercial development ~ especially around the Common. There is already more than enough light and noise pollution in our beautiful Noordhoek. Once a precedent is set there’ll be no end to various attempts at developments and rezoning in the residential area. Everyone who comes here speaks of Noordhoeks natural beauty ~ would be a shame to change that. Absolutely against this! I was walking on the Common this morning, listening to the sounds of Noordhoek waking up — roosters, birds, the occasional dog, a horse neighing, and only the faint sounds of cars, dimming as I walked along the Common’s northwest side, across from the proposed building site. We do not need another restaurant, and one in that position would definitely increase noise and traffic. Who’s behind this? I am sure it would turn into a tourist trap, positioned as it is at the foot of Chapman’s Peak Drive. Bus stopover. How do the restaurant owners at the Farm Village feel about this? And at Thorfynn’s and the Red Herring? Already I feel besieged by outsiders descending on Noordhoek at the weekend (usually don’t go near the Village then) — do we need more of THAT?! I don’t think so. I agree with no restaurant, stupid idea. The intersection leaving Noordhoek via the Western Entrance of Avondrust lane is already hazardous, this will make it even more so. There is a site distance problem and this development will exacerbate this issue. 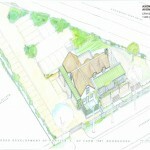 A restaurant on Chapman’s Peak will not fit into the general green look of the drive. Stormwater drainage, already an issue ,will be affected by the increased concreted area. There is no sewage disposal apart from septic tanks in this area of Chapman’s Peak. An establishment of this nature and size, located where it is, will affect all downstream areas in respect of sewage run-off, including the common. – It will detract from the natural beauty of the area, this specific corner and it will become the first impression of Noordhoek as opposed to Avondrust Common which is now the first impression visitors and residents are welcomed by when they arrive home. – The less development that takes place in Noordhoek, the better. I say this simply because the fact that Noodhoek does not have multiple commercial buildings is its charm. There are already 7 restaurants within walking distance of this site. – Does this mean we can expect a robot on this intersection in the future? I agree with no new restaurants in Noordhoek and especially I the area proposed. Increased commerciality will definitely impact on our country life. What about the horses in the paddocks or the freedom to walk, run or ride comfortably. Don’t take this from us!! Absolutely oppose this! Noordhoek is fabulous just as it is…it doesnt need another eatery. •	Increased parking congestion in this area of Noordhoek during weekends with vehicles parking and manoeuvring on the curb of Chapman’s Peak Drive creates an increased risk for accidents involving pedestrians and vehicles. •	There would be increased light and noise pollution in this peaceful neighbourhood. •	This project would adversely affect the beauty of the common and surrounding areas that tourists and local residents cherish. Do not support the rezoning of the property from Single Residential to Commercial Zoning. 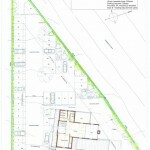 3.1 The property’s development as a commercial site is not aligned to existing CCT planning documents. The Noordhoek Conservancy area has two approved commercial nodes (Red Herring Complex and the Noordhoek Farm Village). On the eastern boundary (just outside the Conservancy area) there is the Sun Valley Mall, which at this stage is planned for re-development as it is underutilised at present. There are already 5 restaurants 300m away at the Noordhoek Farm Village, 3 at the Red Herring complex, one each at Monkey Valley and The Garden Emporium all less than 3km away. In addition, there is conditional approval for a larger tourist oriented Restaurant / wine tasting and winery on the Serina Mine Site on Chapmans Peak Drive, ±500m to the West of this proposed development. 3.2 The Noordhoek Valley proposed Structure Plan (1985) has been one of the primary informants of planning decisions in Noordhoek for decades. The present policy of not allowing ribbon commercial development along Noordhoek Main Road is a long standing one and is supported by the Cape Town Spatial Development Framework (2011) and the Southern District Plan (2012). Contrary to the Applicants claim, there is sufficient detail in the SDP. NEAG and the NC were actively involved in the Public Participation process over the years that led to the final version of the SDP. Direct discussions were held with the planning officials where the issue of commercialization of the Chapmans Peak Drive through Noordhoek Main Road was discussed and there was general agreement that this was highly undesirable. sense of the heritage of Noordhoek. The Common is often mentioned by residents as one of the motivations to live in Noordhoek. 3.4 Tourism is specifically the driver of economic growth in Cape Town. A trip along Chapman’s Peak Drive to Cape Point is in itself one of the factors that inspire tourists to come to Cape Town. Any commercialization of a scenic drive has to be viewed with huge caution. Tourists do not fly half way round the world to come and eat in a restaurant on the way to Cape Point. In the Far South they come to savour the interface of mountains, sea and city/ rural connection that the Table Mountain National Park has to offer. This portal site is in a very sensitive position as it is both the beginning of Chapman’s Peak Drive as well as the gateway to Noordhoek Beach. It provides access for the more than 240 residential properties as well as visitors and tourists to Noordhoek Beach. The proposed commercialization of this site will detract and degrade the tourist experience rather than enhance it. 3.5 This Application is being done in terms of the now rescinded Divisional Council of the Cape Zoning Scheme. NEAG believes the exercising of any of these rights now or in the future on this site would be highly detrimental to the sense of place and amenity of residents and visitors to Noordhoek and the Far South in general. At the same time, a successful Commercial re-zoning it opens the door for numerous other properties along the Noordhoek Main Road to do the same. This is exactly how the development of Victoria Road in Hout Bay started. 4.1 Is the land use (associated with the activity being applied for) considered within the timeframe intended by the existing approved SDF? The proposed commercial zoning is not at this time identified as a present or future land use. 4.2 Does the community/area need the activity and the associated land use concerned (is it a societal priority)? This is not a general question as to associated benefits or costs. It is whether the specific needs of the adjacent community are going to be met. The proposal makes much of the tourism benefits but nothing of the benefits/costs to the local residents.. Noordhoek has ten comparable restaurant facilities, Monkey Valley, Noordhoek Farm Village, the Red Herring Restaurant and The Garden Emporium. Wine tasting presently exists at the Serina Mine site. NEAG believes that there is thus no intrinsic need, at this time, for additional commercial facilities in Noordhoek. 4.3 . Are the necessary services with adequate capacity currently available? 4.3.1 The traffic impact assessment (TIA) within the application raises concerns in that it does not interrogate the issues fully. A full Traffic Impact Study would have provided the additional detail that is needed. The assessment did not take in to account the huge volume of traffic to the beach during week-ends, Public Holidays and at other off peak times that relate to the specifics of the road connector (dog walkers, surfers, events at Monkey Valley and the Red Herring) . The current and serious over capacity of Ou Kaapse Weg is not noted and there is no examination of the cumulative impact of generated trips over this road network. The CCT has stated in the SDP that the upgrading of Ou Kaapse Weg is not a budgetary priority and considers it a 10-15 year priority. The Noordhoek Conservancy (NC) and all the ratepayer associations in the Far South disagree with this assessment of priority. NEAG and the NC contend that it is unwise, unsustainable and undesirable to allow approval for any further developments that add to the dangerous over capacity of Ou Kaapse Weg until the CCT creates additional transport capacity. 4.3.2 The TIA recommends the removal of low vegetation to improve site lines. The reality is that the Heritage Stone Pines that are on City land pose the greatest visual block. NEAG would not support their removal. 4.3.3 The TIA recommends that a pedestrian path be built along the boundary of the Applicants property for public safety. There are daily examples outside the Noordhoek Farm Village where cars have parked on the verges blocking pedestrian access. It is highly likely, given the very narrow verge that the same will occur on Avondrust Circle. There is also no point in having a ±1.50m path without connecting it all the way through to Beach Road and beyond. The issue of funding for these road verge improvements has not been dealt with. No mention has been made as to how to deal with horse traffic. A horse and rider were hit by a car on the same section of road a few years ago. This was one of the motivators for residents to raise funding themselves (>R150 000) and install speed calming measures on Avondrust Circle. 4.3.4 It appears that the Applicant is unaware that there are no sewerage services available to the site. All sewerage in this area of Noordhoek is treated by a septic tank connected to a soak away. Over the last decades, both the Red Herring complex and Monkey Valley have historically created pollution due to their undersized/under-maintained systems overflowing as storm water. The residents do not want this smelly, unhygienic problem at another site. NEAG believes this site to be unsuitable for any septic system larger than a domestic one as the underlying ground is rich in Kaolin Clay layers. It is highly likely that a soak away system as part of a restaurant will lead to contaminated seep into the river via the Noordhoek Common. NEAG contends that this potential seep into De Goede Hoop River must trigger a minimum of a basic EIA to confirm or disprove this potential risk. 4.4 Is the development the best practicable environmental option for this site? This question inadequately addressed in the application. This development option does not provide the most benefit and cause the least damage to the environment. NEAG supported this Erf being re-zoned as Single Residential precisely because we believe that this zoning would (with its conditions) provide the least impact. The height of a Residential building cannot exceed 11m while under GB1 it can be 15m. 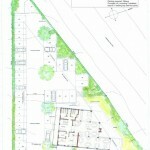 Likewise with coverage and bulk factors, a house can be 1500sqm in total whereas a GB1 building could be over 3600sqm. The impact of a hundred restaurant patrons (or more) will have a huge traffic, noise and visual impact. Historical experience has shown that the CCT is not able to manage any mitigating conditions that may be imposed if this project is approved. It is then left to residents to spend enormous amounts of money in litigation to rectify the situation and perform a Municipal function. Although the applicant is applying for the rezoning of the site to Commercial zoning and his current intent may be to develop a restaurant only, the rezoning would allow would allow future owners of the property to develop the site up to the maximum allowed by such zoning. This would be totally unacceptable. 4.5 Would the approval of this application compromise the integrity of the existing approved and credible Municipal IDP and SDF? The application is deficient in its attempt to justify its proposals in terms of planning / policy directives, mainly because it relies on the general principles outlined in these planning documents and does not focus on the local scale detail. NEAG wholeheartedly supports job creation through tourism, visual/stills/film industry and recreational pursuits in Noordhoek and the Far South in general. The Table Mountain National park is a declared a World Heritage Site and the surrounding coastline are Noordhoek’s key differentiators and thus economic assets. To maintain this differential, any application that deviates from the approved SDF and Draft SDP needs to be refused purely on the basis of the precautionary principle if for no other reason. 4.6 How will the development impact on people’s health and wellbeing, particularly in terms of noise, odours, visual character and sense of place? The land is zoned Single Residential and can be used for the purpose it was zoned. Any change to the zoning and land use will alter its sense of place. 4.6.1 A Noordhoek Residents “Vision” Survey study was conducted by the NC and the NEAG in 2009/2010. The purpose of the survey was to ascertain whether the NC’s and NEAG’s vision of Noordhoek were in synch with resident’s views. Of the 372 respondents (16% of the estimated population comprising of about 900 households) the answers to the statement: “Commercial development should be restricted to existing commercial nodes” were: 89% strongly agree/agree; 8% Neutral; 3% Disagree/ strongly disagree. NEAG takes these answers as a resounding No to any proposal to commercialise what is currently residential land. 4.6.2 Any traffic and verge parking generation from the actual restaurant and its negative effect on the sense of place have not been addressed. 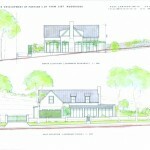 4.6.3 The removal of any Heritage stone pines on the property will negatively alter the site’s sense of place. No Heritage assessment has been proffered. NEAG believes a Heritage Impact Assessment should have been required to be submitted with this application. 4.7 Will the proposed activity or land use associated with the activity applied for, result in unacceptable opportunity costs? The Applicant makes much out of the proposed parking bays being in excess of that which is required by regulation. We believe that even with this this ‘excess’ is still totally inadequate. The experience of the Noordhoek residents points to the woeful inadequacy of standard parking provisions with regard to the restaurants in this area. Formal and informal analyses done at local restaurants found that patrons often arrive individually by car or generally have only two occupants plus children. This means that on busy weekend days, 100 seats will really amount to 120 seats (people sit informally) and the parking need will probably exceed 70 bays. When the NC expressed its concern about the lack of proposed parking bays, the Applicant’s consultant suggested that any overflow parking could happen on the road verge or on part of the Common. NEAG (and we believe most residents) would take serious issue with any attempt to turn part of the Common or the verges around a busy intersection into additional parking opportunities. This amounts to externalisation of costs that will not be borne by the business owner(s) but born by residents, visitors and ratepayers alike. This question is not dealt with in the proposal. NEAG believes its current single residential zoning (with conditions) is the appropriate development option for this property, in the heart of a rural/residential area. The Far South’s tourism success doesn’t depend on multiple facilities such as restaurants and wine tasting facilities being placed in the area but depends on the Far South maintaining its present environmental integrity and attributes which includes its scenic, bio-physical and recreational lifestyle attributes and opportunities that devolve from them to present and future generations. We request for an interview at all committee meetings where this application will be discussed. Has any response been received from the municipality regarding whether this ridiculous proposal was granted to the developers? Noordhoek really does not need any more restaurants on an already overcrowded road. Next thing would be for people to start parking on the common.